Exclusive special edition, limited worldwide to 222 pieces. 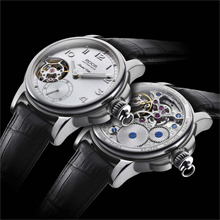 This new EPOS watch allows the timepiece to be either carried as a pocket watch or worn as a wristwatch. 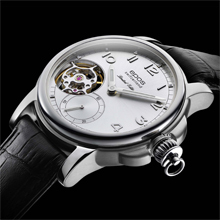 Mechanical hand-wound semi-skeleton movement Unitas 6498, engraved. Applied arabic figures and luminescent indexes. Visible balance wheel at 8 o’clock, small second hand at 6 o’clock. Stainless steel case with sapphire crystal and see through back. Diameter wristwatch: 44 mm, thickness: 11.6 mm. 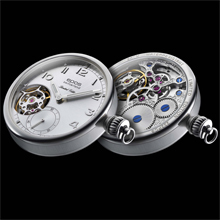 Diameter pocketwatch: 42 mm, thickness: 10.5 mm.